Fill out our contact form & we'll get back in touch as soon as possible. 1 How do I claim? 2 What is a crime? 3 What is a violent crime? 4 What is a violent injury? Criminal injuries compensation can be awarded to victims of crime. Those who have used CICA UK and the CICA scheme have found themselves receiving compensation even when the offender was not identified or found. If you’re wondering if you would be eligible and you have been injured because of a crime then you have come to the right place. We at CICA UK are experts in helping victims of criminal injuries get the compensation they deserve. To claim for criminal injury compensation the first and most important step is to get in touch with us on 0151 242 5111 or you can email info@cica-uk.co.uk. For more information about us and our organisation, you can find out more here. To find out more about how the claim procedure works then please read on here. The definition of a crime is an act that is punishable by law. This means that a crime is only a crime if criminal proceedings can be issued against the criminal. This is an important statement as taking action and not taking an action can both be a crime. There are two types of crime – violent crime and property crime. Our speciality is to help victims of violent crime claim compensation and as such we will only focus on the violent crime aspect. 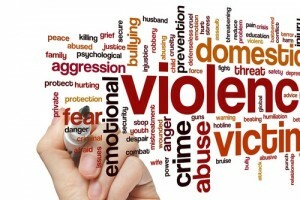 By definition, violent crime is when an offender threatens or uses force upon a victim or victims. In the United Kingdom, any violence towards another person is a criminal offence – violence is a serious crime and is taken very seriously, more so than property crime. If you would like to talk to us about the criminal injuries compensation tariff or anything else, get in touch and we’ll do our best to help you. What is a violent injury? A violent injury is an injury sustained as a direct or indirect result of a violent crime. The injury can be mental or physical. An injury sustained as a result of an act of violence is referred to in the legal sense as a criminal injury. Often, a violent injury can leave the victim much more damaged than a non-violent injury as it can carry a large amount of psychological trauma with it even if the injury was purely physical. The UK has one of the finest legal institutions and available services when it comes to victims of criminal injury – the criminal injuries compensation authority being a prime example. If you or know someone who has been a victim of a violent crime and sustained a criminal injury then you could claim for compensation. The United Kingdom is lucky to have such an institution to help those claim criminal injury compensation however, it can be complex to do it on your own, which is why CICA-UK has been set up – to help the victims claim as much compensation as possible. Start your ‘No Win No Fee’ claim now! The Dures Partnership LLP is a Limited Liability Partnership Registered in England & Wales (Number OC356360). Registered Office: 21 Cheapside Liverpool L2 2DY Where a list of members is available.